Late in 2013, a novel variant of the Ebola virus emerged in Western Africa to start what would become the largest human epidemic on record. In a study published December 9th in Cell Host & Microbe, researchers used genome sequencing to trace the introduction and spread of the virus in Liberia–the second worst-affected country. The findings suggest that the Ebola virus spread to Liberia multiple times from neighboring countries early during the outbreak, but the majority of Liberian cases are attributable to a single introduction of the virus, which rapidly spread throughout the country and subsequently refueled the ongoing outbreak in Guinea. The Ebola virus is transmitted to people from its reservoir host and spreads in the human population through human-to-human transmission. Since it was first discovered in 1976, the virus has mainly affected remote villages in Africa, limiting the number of deaths associated with Ebola virus disease (EVD) despite the 50% average fatality rate. However, the latest outbreak reached major urban areas in Guinea, Liberia, Sierra Leone, and nearby countries, resulting in more than 28,000 reported cases and more than 11,000 deaths. The World Health Organization declared that Ebola virus transmission in the human population had ended in Liberia on September 3rd and in Sierra Leone on November 7th of this year. Moreover, the last patient in Guinea, where the outbreak originated, tested negative for the Ebola virus twice as of November 22nd. “Despite encouraging signs of containment, the cluster of three confirmed cases of EVD that was recently reported in Liberia underscores the importance of robust surveillance measures to ensure the rapid detection of any reintroduction or re-emergence of the virus,” Palacios says. Palacios and first author Jason Ladner of USAMRIID sequenced Ebola virus genomes from 139 EVD patients affected in the second, largest wave of the Liberian outbreak. They also analyzed 782 previously published sequences from throughout the Western African outbreak. Together, these samples span nearly one year of the epidemic, including the period during which 99% of the confirmed and probable cases were reported in Liberia. While multiple early introductions of the Ebola virus from Guinea and/or Sierra Leone to Liberia were evident, the majority of Liberian cases were consistent with a single introduction in late May or early June 2014, around the start of the second wave of Liberian cases. 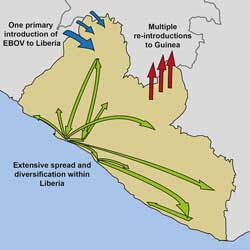 Although infected individuals may have continued to enter Liberia from neighboring countries, surprisingly, these transmission chains did not substantially contribute to the Liberian portion of the outbreak. Contact tracing has revealed at least three potential introductions of the Ebola virus to Liberia from Sierra Leone around the start of the second wave of Liberian cases. Analysis of the viral sequences suggests that one of these introductions, which has been linked to several EVD cases in Monrovia, including health care workers at Redemption Hospital, likely led to the largest wave of cases in Liberia. Surprisingly, the study suggested that the Ebola virus did not appear to further adapt to humans during the outbreak, but additional research is needed to understand how the virus transitioned to humans at the beginning of the outbreak. 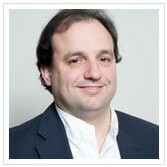 Future efforts should also focus on exploring the public health implications of the findings. 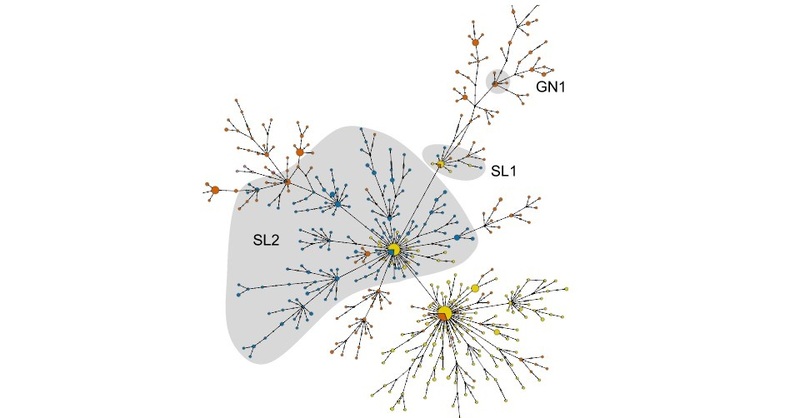 “A detailed investigation of Ebola virus control measures throughout Western Africa, in light of the movement patterns highlighted in our analysis, will be illustrative regarding the effectiveness of different management approaches,” Palacios says. The report, “Evolution and Spread of Ebola Virus in Liberia, 2014-2015” was published in the journal Cell.